july 31, 2000. For chroniclers of this city’s housing crisis, last Thursday was crammed with drama worthy of an opera or at least a mini-series. The action began at the weekly meeting of the Planning Commission. Their curiosity and conscience piqued by a recent Mission Anti-Displacement Coalition presentation, the commissioners had called for enlightenment in the form of "an informational presentation on the Residence Element of the General Plan’s approach to assessing housing need, the relationship between job growth and housing need, and the status of the current Office Affordable Housing Production Program (OAHPP) and how it is addressing this housing need." Heavy stuff. Enter Amit Ghosh, of the Planning Department, armed with graphs and statistics profiling projected changes in population, jobs, and housing stock over the next 20 years. He was there, he said, to explain a process: the state requires San Francisco to revise its General Plan by the end of the year to meet changing conditions in the city. According to Association of Bay Area Governments estimates, San Francisco will host slightly more than 100,000 new jobs over the next 20 years. Because of coordinated regional transit patterns, most new employees will reside outside the city; only about 16,000 new households will actually need shelter within its borders. To meet this increase, ABAG proposes that San Francisco build 2,716 units annually over the next six years. The fees paid by developers under OAHPP will serve as seed money to build 36 percent of these projects for low- or very-low-income residents. Imagine the thoughts in the commissioners’ heads as Ghosh spoke. Why on earth had their last meeting been disrupted by angry MAC representatives? There was an aside, almost casually thrown out. 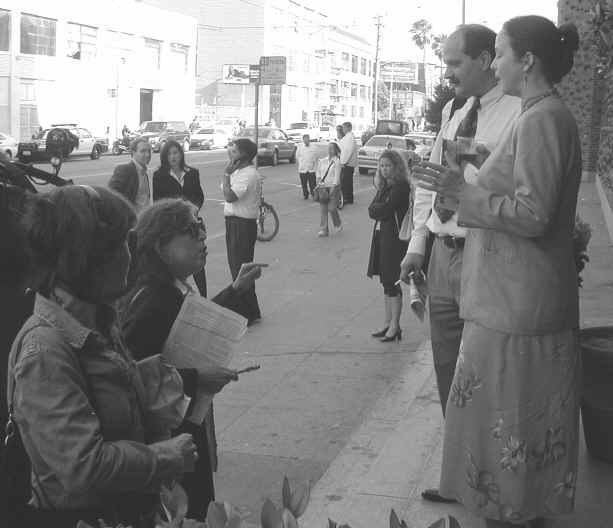 In fact, Ghosh said, San Francisco’s housing need is greater than these figures suggest because of the unique characteristics of its population: the "affordability gap," the large number of homeless and disabled people. It’s a matter of housing policy rather than a part of the Residence Element of the General Plan. Not, he implied, his bailiwick. He deferred to Marcia Rosen of the Mayor’s Office of Housing. The commissioners stared. "Who should we be working with?" asked acting chair Beverly Mills. Rosen added consternation to confusion. She pleaded for better coordination and communication among agencies. No one in the Planning Department had told her she might be asked to make a presentation; no one in the Planning Department even told her office how much money was in the city’s coffers to build affordable housing. She outlined the city’s situation as she saw it: we need more than 50,000 new units — right now. "While we work to find affordable housing, other land-use policies are raising prices. We need to base our planning on the existing population, not on anticipated growth."